Sara moved to Fuerteventura, about 16 years ago now, where she met Tom and they have been living there ever since. After studying Tourism in her home country Belgium, she started working for one of the most prestigious hotel chains in the Canary Islands. This has given her a wealth of experience when dealing with a variety of nationalities. Her studies provided the ability to speak 5 different languages, and previous office experience will ensure an excellent service to all 7 Islands clients. At the moment Sara shares her time working at the 7 Island Surf office, looking after their 2 growing sons Matthew and Nick and her new adventure being a doTERRA Wellness Advocate. 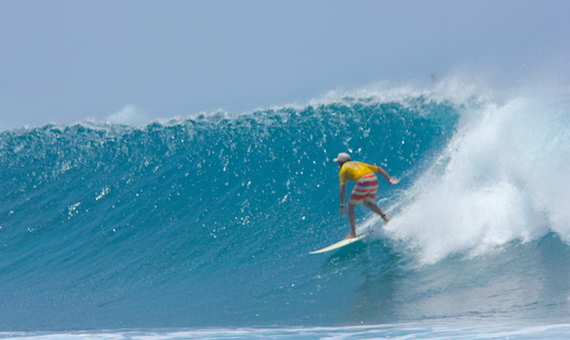 Tom, Head Coach at 7 Island Surf, has been Surfing for most part of his life starting at the age of 11. It has taken him around the world, travelling to different countries, oceans, sampling different waves and cultures. 16 Years ago, Tom came to Fuerteventura to sample the waves on the North Shore. He has been here ever since ! Tom "In 2003 I decided it would be great to pass on my surfing knowledge and passion to others. My Surf Coaching career began in Cornwall (England) where I gained my first coaching experience working for 1 of the best Surf Schools in Britain (Harlyn Surf School). I am now qualified to Level 3 by the Academy of Surfing Instructors (ASI) and am also an International Surfing Association (ISA) Surf Coach. I hold my full RLSS Beach Lifeguard Qualification too. It has been, and still is, a priviledge to coach surfing. Helping beginners ride their first wave, helping surfers to reach their full potential and guiding surfers to the best waves of their lives, it's a great feeling to be part of that experience. The most relevant part of the sport in my view is HAVING FUN !" Peter found the love for the ocean in 1999 when he was working as a Personal Trainer on the neighbouring island of Tenerife. He soon started island hopping and fell in love with Fuerteventura on his first visit. He is an enthusiastic long boarder and enjoys the occasional tandem surf. In 2007 he won the O'Neill "The Crowning 2007" Masters in The Netherlands. 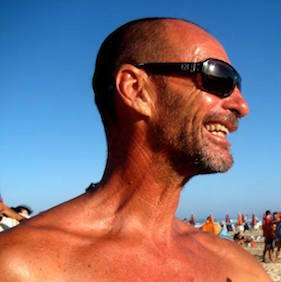 Peter is a qualified ISA and FCS Surf instructor and definately makes the days on the beach more fun. He has some great warm up techniques and will make sure you get the most out of your day surfing with us.